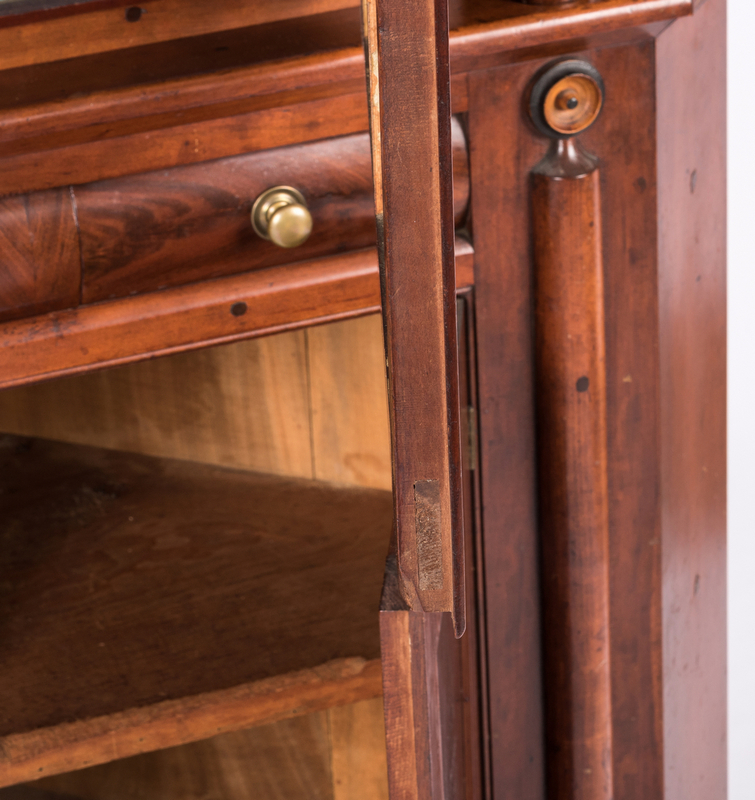 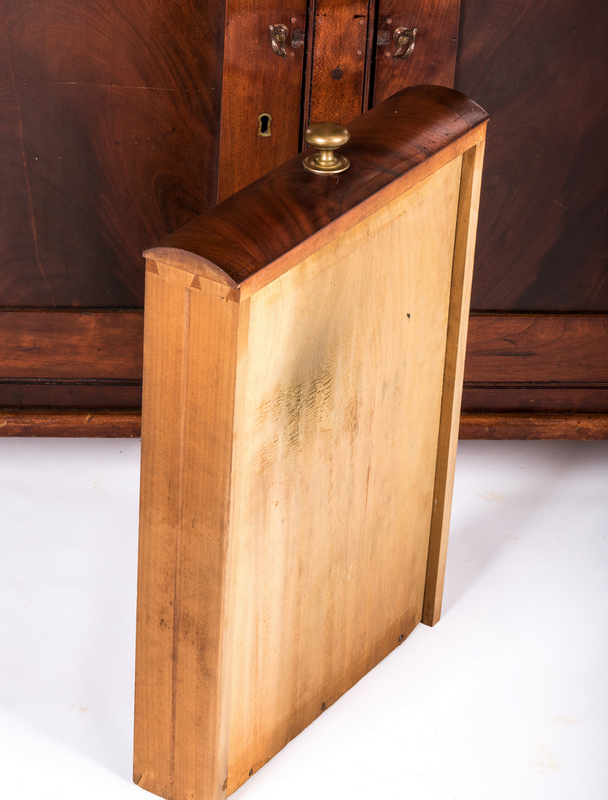 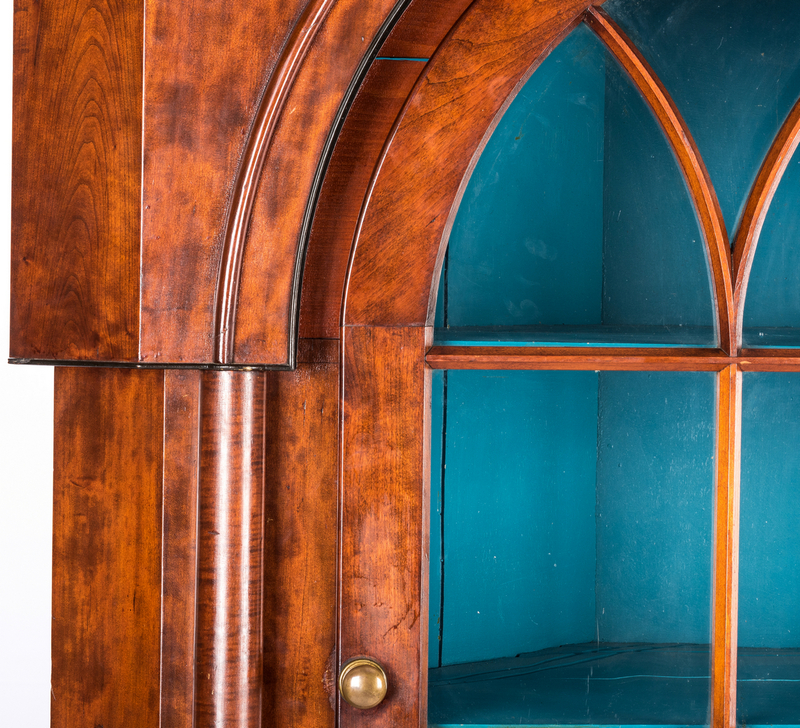 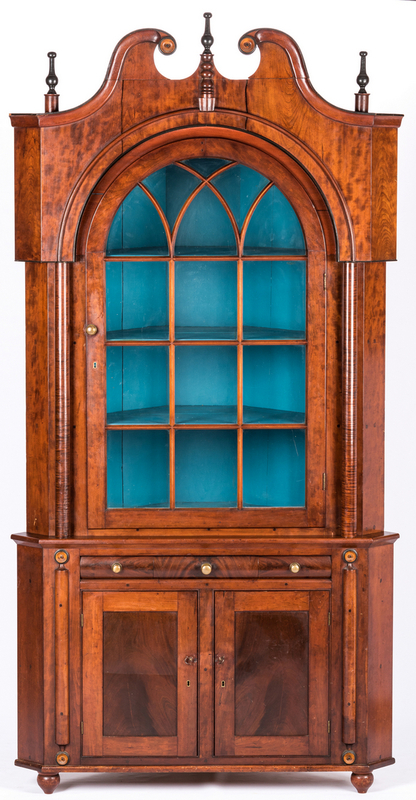 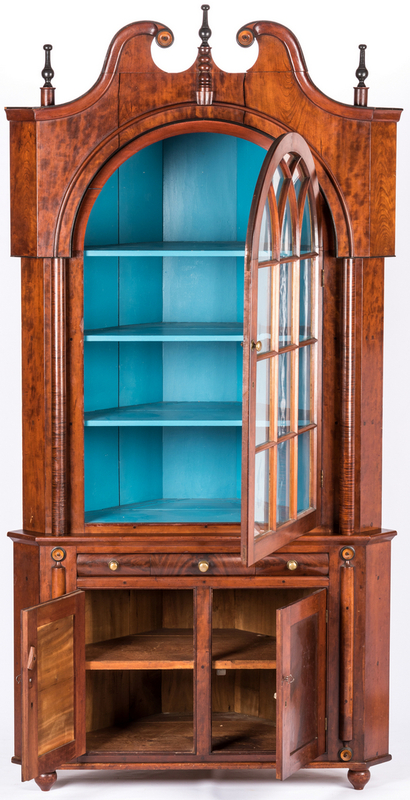 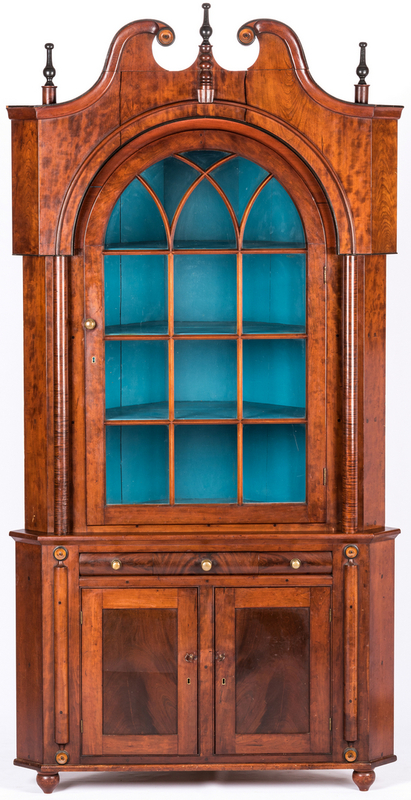 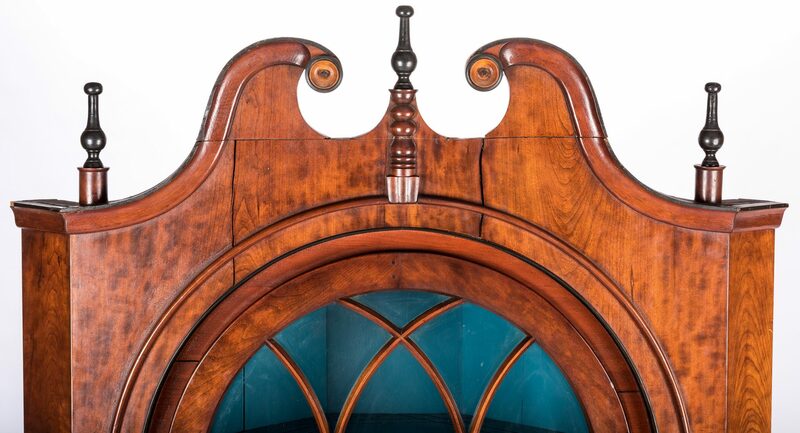 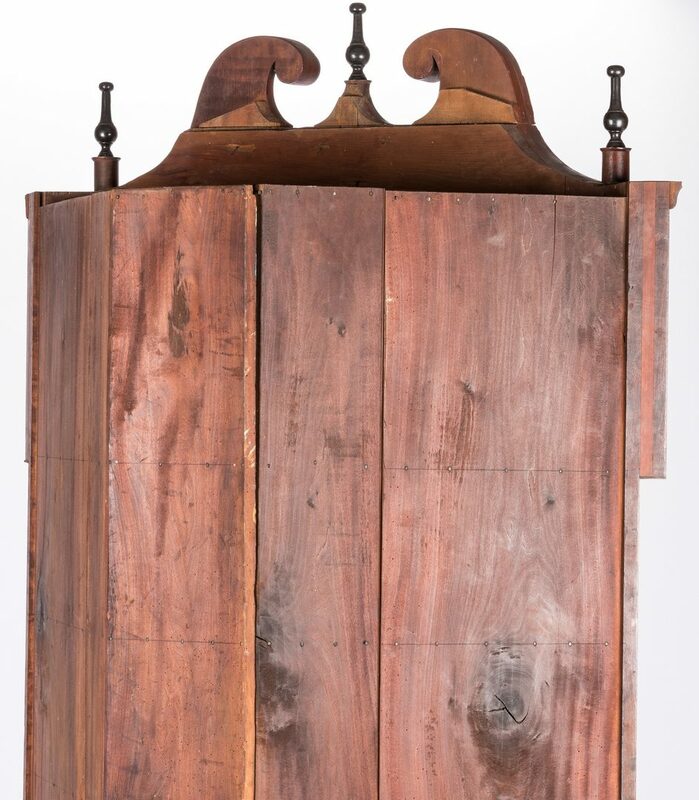 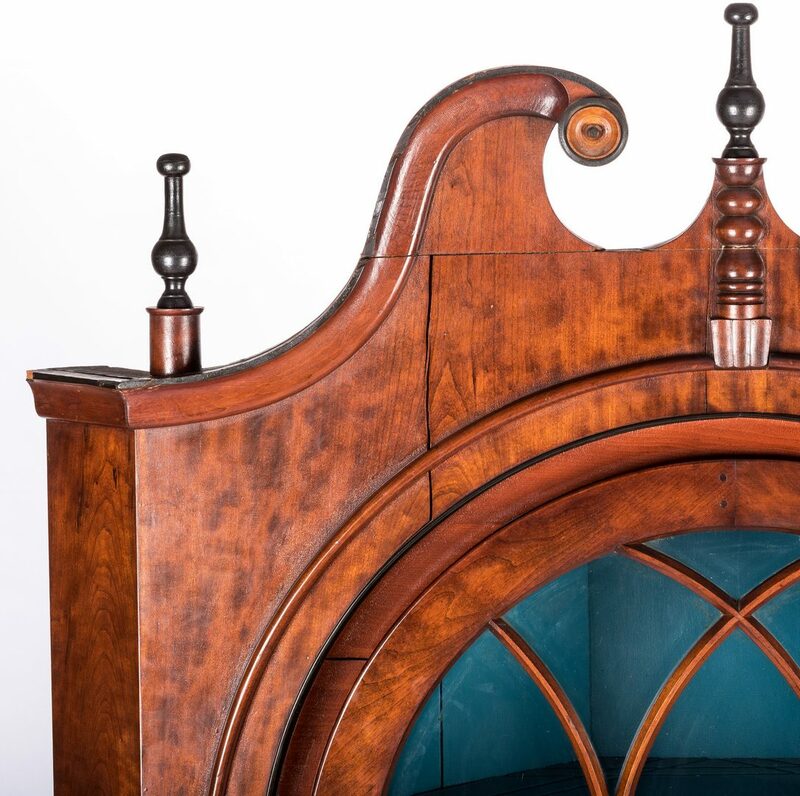 Pennsylvania Early Sheraton corner cupboard, two-part construction, figured cherry and mahogany with mahogany and tiger maple veneers, poplar and pine secondary woods. 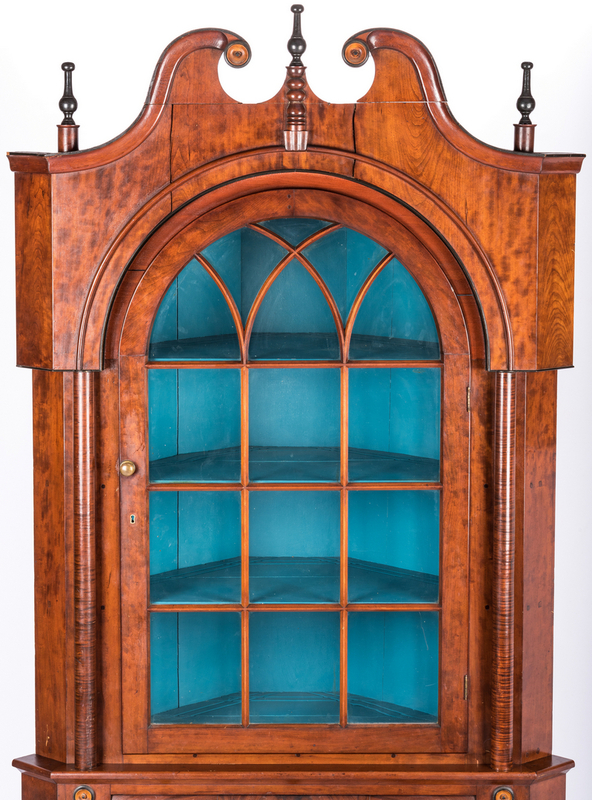 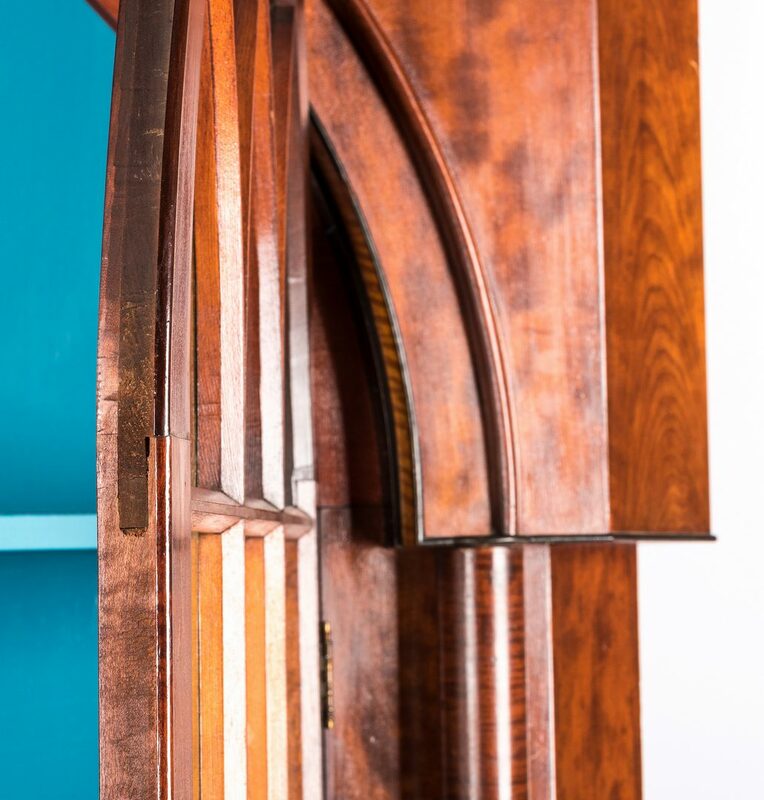 Upper case with broken-arch pediment and ebonized turned finials, over an arched glazed door with turned tiger maple stiles. Blue painted interior and three fixed shelves. 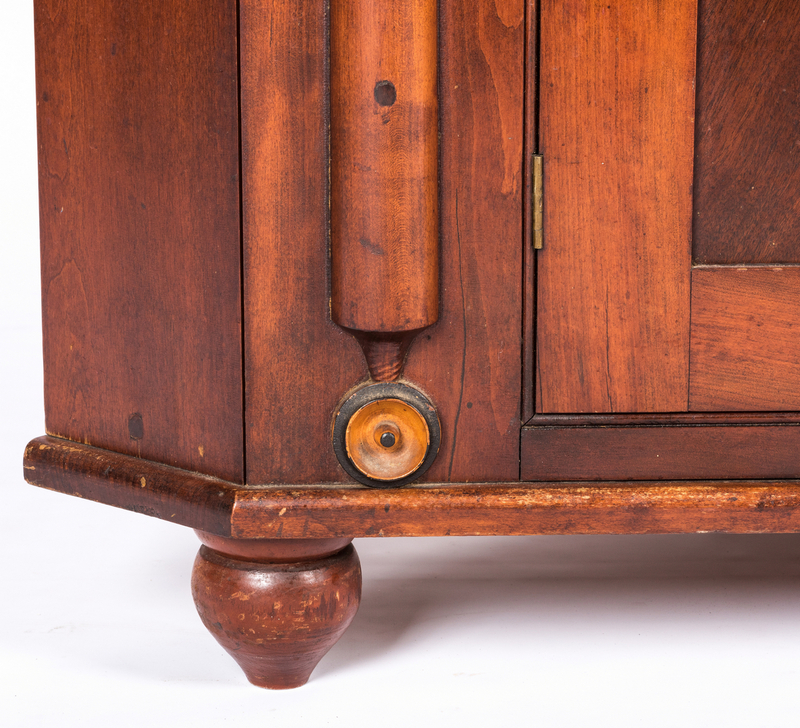 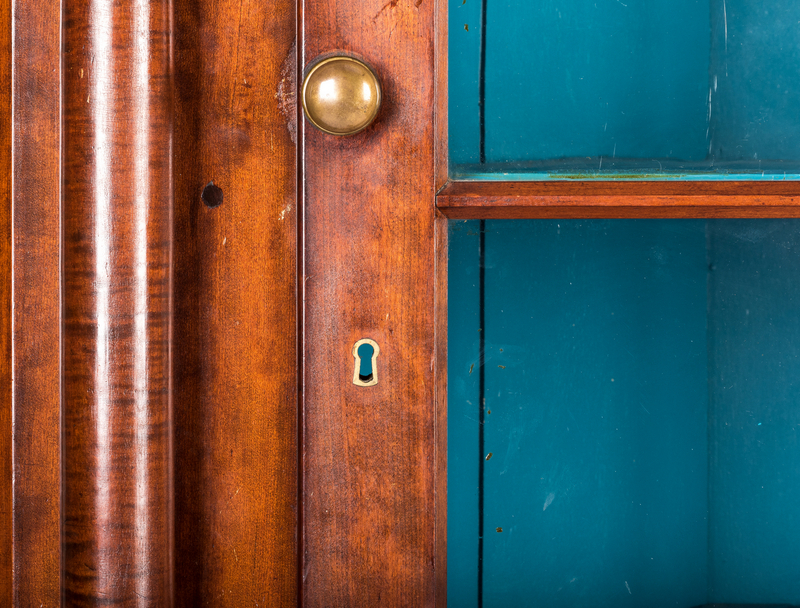 Lower case with wide convex drawer having brass pulls over two paneled doors and half-column stiles, all raised on turned Sheraton feet. 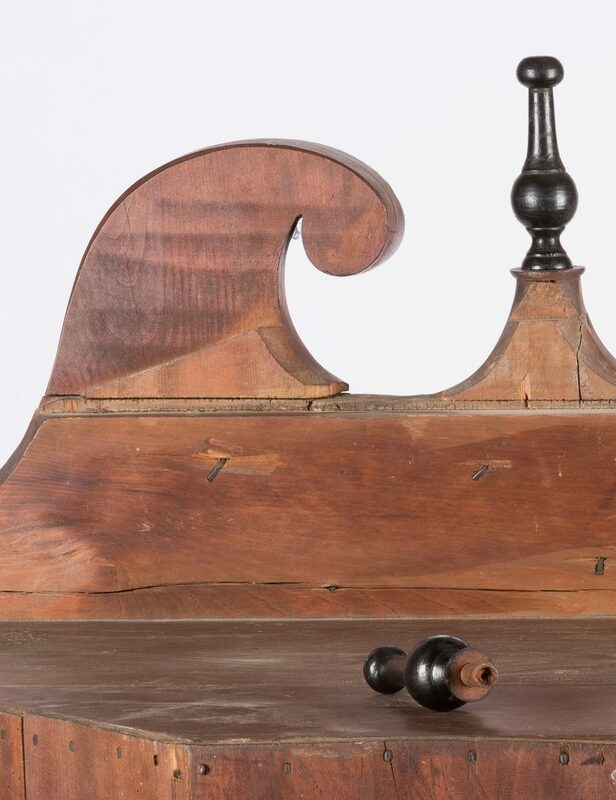 93" H x 48" W x 27" D. Circa 1830. 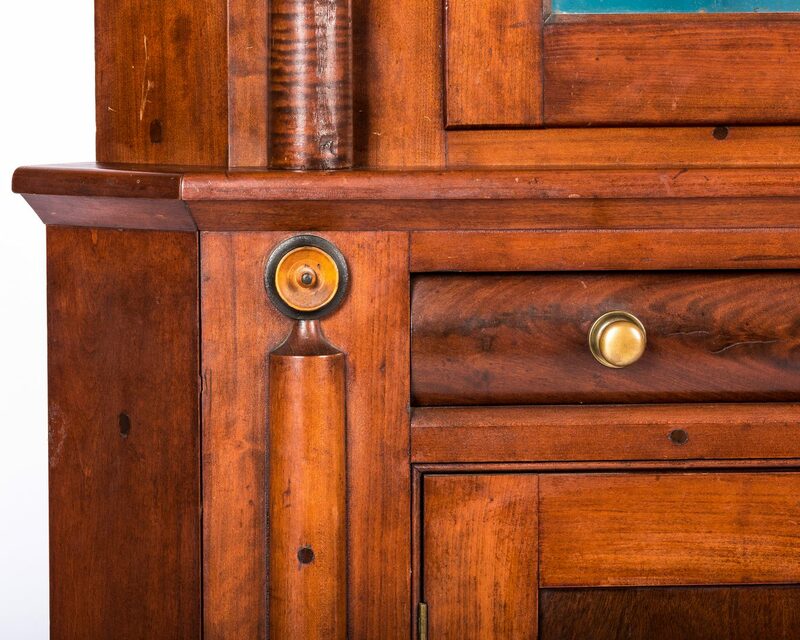 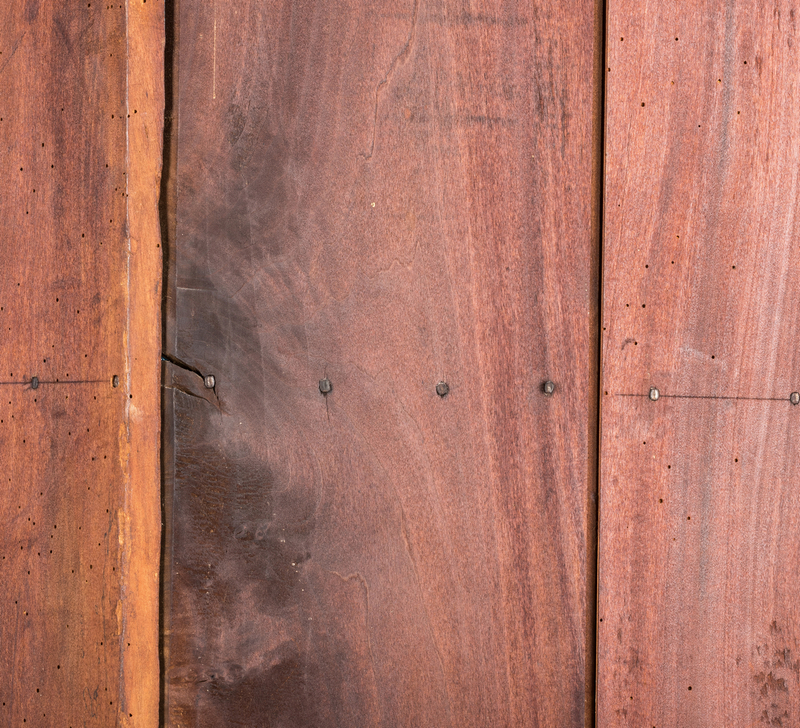 Provenance: Private Sevier County, TN collection. 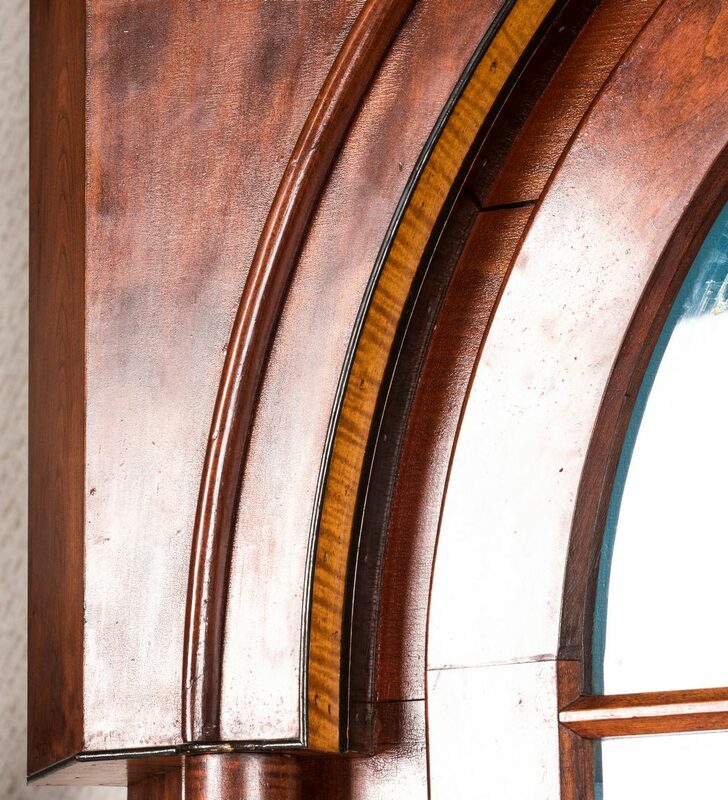 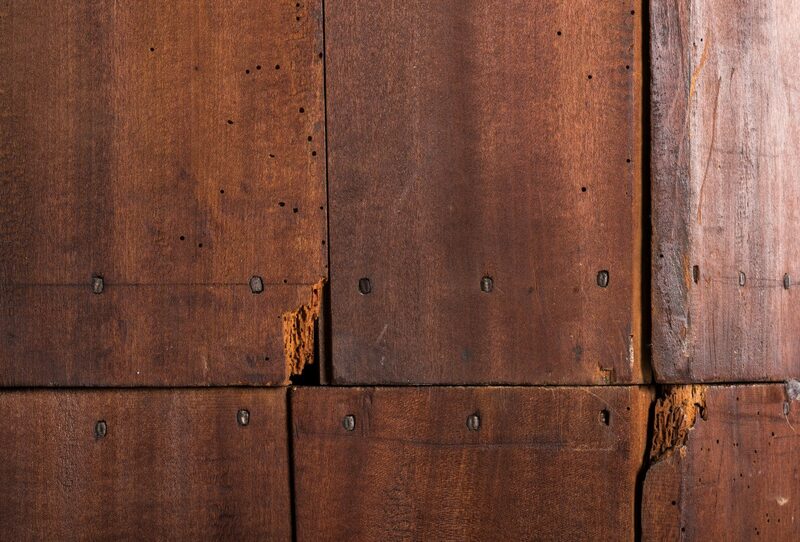 CONDITION: Overall good condition with general wear, two vertical age cracks to upper case at pediment (rear of pediment reinforced with blocks). Wear, losses to back boards.